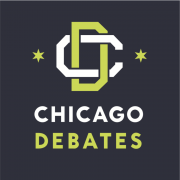 Debate transforms the lives of Chicago students by preparing them with the skills, confidence, and inspiration for college and workplace success. The Chicago Debate League program is proven to improve student academic performance. Recent peer-reviewed, published studies demonstrate that participation in competitive debate leads to higher GPAs, higher graduation rates, and better college-readiness (based on ACT benchmarks). · Debating in the CDL led to gains in grade-point average every semester a student continued to debate. In contrast, GPA remained flat overall for high school students not involved in debate. · Both high- and low-risk students who participated in debate had significantly higher scores on all sections of the ACT. Debate teaches the skills of civic engagement and enhances knowledge of important social issues. Debate engages students in a deliberative, structured process of learning, critical thinking, and dialogue on important and complex public policy issues. Debate teaches research skills and improves learning. Key activities in academic debate are reading, research, close analysis of complex texts, critical thinking, and evidence-based argumentation. Notably, learning to make arguments supported by textual evidence is central to the Common Core State Standards, now being implemented throughout Chicago Public Schools. Debate strengthens communication and critical thinking skills. When students prepare their cases, they must structure their oral arguments logically. To refute their opponent’s arguments persuasively, students must listen closely and focus intently, critically analyze the case, and respond quickly. Debate supports anti-violence initiatives. The core values of debate–and the skills debate builds–are critical to anti-violence efforts. Debate teaches students to respect diverse viewpoints and address conflicting ideas with communication and cogent arguments. Debaters become skilled in seeing multiple points of view and using words in a structured environment to discuss conflicts. 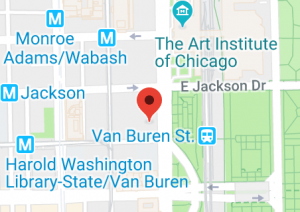 In addition, the sheer amount of time urban students spend outside of school hours on debate activities helps protect them from street violence.